some resistors, a LED, a diode. The design is simple: we build a voltage divider using the LDR with a resistor and another one using fixed resistors. Then we use the opamp to compare the voltages from these dividers. 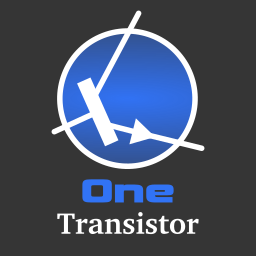 Opamp will drive a transistor that will trigger the relay. DC operating point where all capacitors are treated as open circuit and all inductors as closed circuit in order to calculate quiescent voltage and currents for all parts and circuit nodes. Transient analysis calculates circuit behavior over a period of time. AC analysis sweeps an AC source parameters and calculates how the circuit behaves to that. DC sweep modifies chosen voltages, currents or other parameters. Let's start drawing our circuit. I will draw it from right to left (from output to input). To do that, open LTspice and click the New Schematic (1) toolbar button (or the File menu entry). Now you have access to the main toolbar from where you can add basic components and perform various operations (cut, copy, paste, draw wires, move or drag symbols). We will use the Component (2) button to add a NPN transistor, a diode, a resistor and a voltage supply. When you click the Component icon you will be prompted with a library dialog. We will select npn2 for the transistor and voltage for the power supply. The entries between "" are folders that contain various components grouped by categories. We will power it from 12 V so we need to choose a 12 V relay. G2RL series is very common and it draws only 33 mA (the general purpose type). We will place this relay in the collector of the driver transistor. We can use BC547 although its maximum collector current is rather low: 100 mA. Let's design this part of circuit and play a little with it. We are not interested in the inductive properties of relay's coil so we'll substitute it with a resistor. 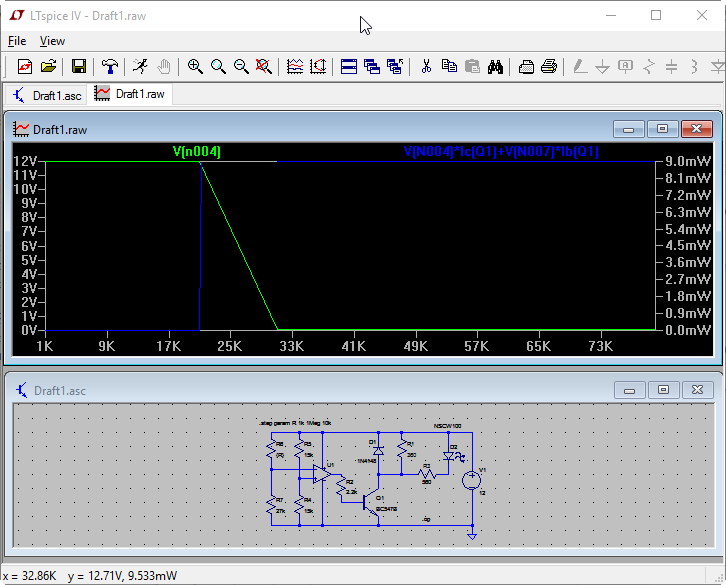 To protect the transistor we'll use a flyback diode (not really needed in the simulation). While you can easily right click most passive components and enter their value, for the semiconductors things are a little different. For example, if we right click the transistor symbol we will be prompted with a common transistors list that we can choose from. Those are the simulation models available by default in LTspice. BC547 is very common so we'll find it in the library. 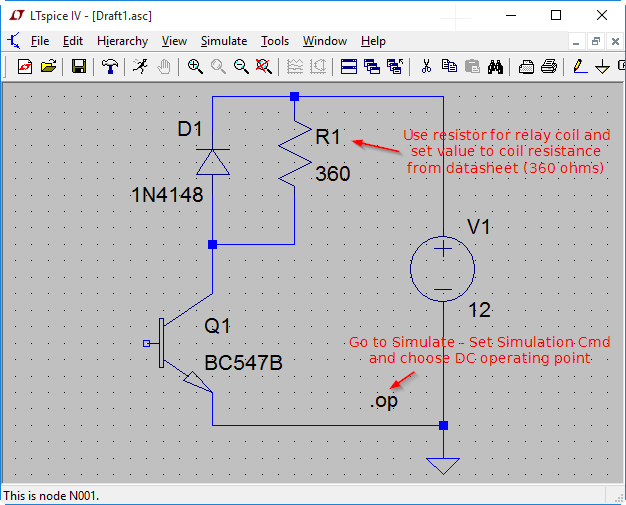 If you follow and added the DC operating point instruction, you can now run the simulation (Simulate - Run). A new window with voltages and currents will open. If you look at transistor collector and base currents you'll see they are as we wanted. After closing that window you can hover with the cursor on all parts and see important information. In the above screenshot, we can see the transistor power dissipation is 9 mW, which is great for a 500 mW rated transistor. Let's add the opamp. We'll use LM393 for the real circuit and a generic opamp in LTspice (Opamps/UniversalOpamp2) and we'll connect the 2.2 k resistor to its output. 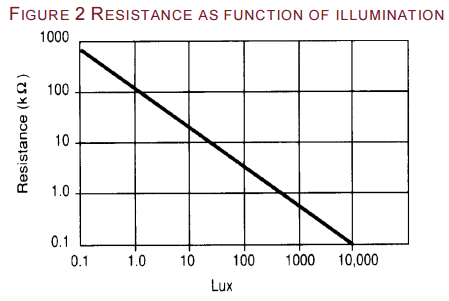 We can reduce the resistor value (1.5...1.8 k) to compensate opamp voltage drops. Here is the completed schematic for simulation. 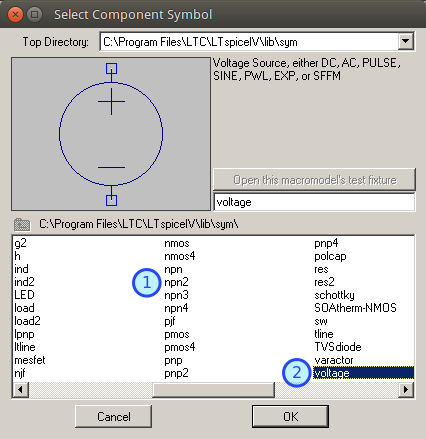 After running the simulation click any wire that connects to transistor collector (where the cursor turns into a probe). You'll get the green graph from my screenshot. That is the collector voltage. When it is 0 the relay is triggered. 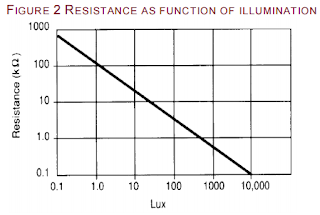 If you Alt+Click the transistor, you'll see the power dissipation of the transistor (blue graph). That is it. You may wonder how can you turn this into a light activated relay. Method 1: switch opamp inputs or method 2: switch the LDR and its resistor (put the LDR to ground and the resistor to 12 V). This was not intended to be an electronics lesson or a LTspice tutorial. 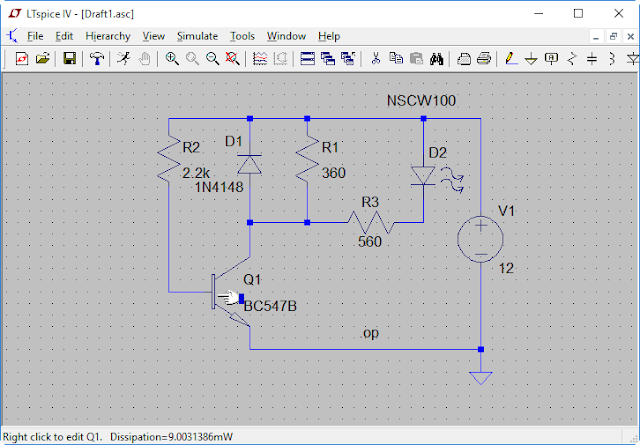 This is just a demonstration of how you can use LTspice to design your circuits. 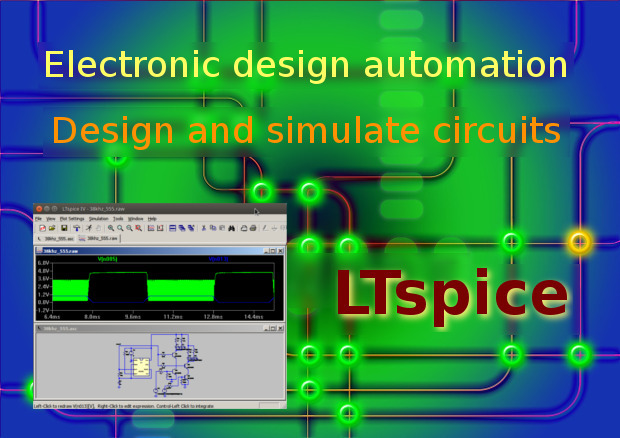 It is assumed you already have electronics knowledge and know to use LTspice. Or at least now you want to learn. 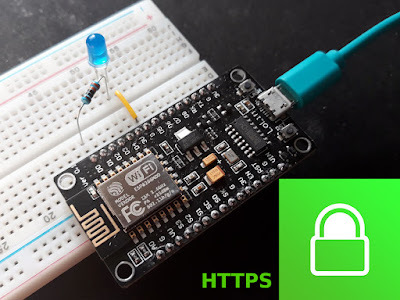 The second part will show how you can draw beautiful schematics of your circuits. We will also add a preset to the reference divider so you can adjust trigger level. 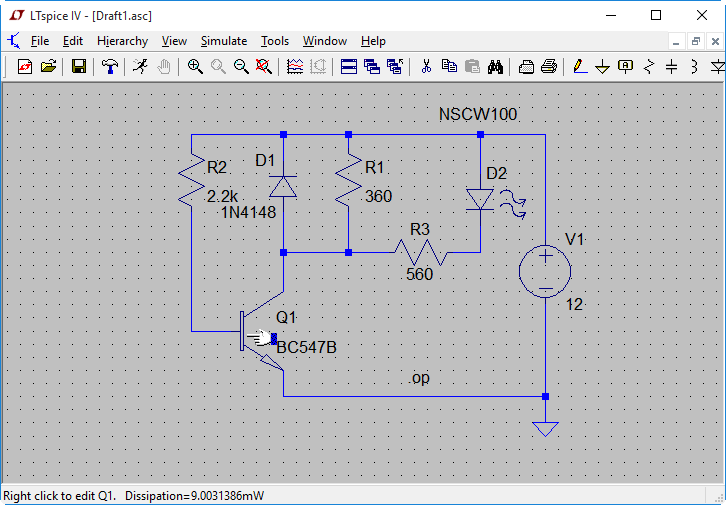 Overall, this article described a simple circuit that can be easily designed and simulated using free tools. Do you use LTspice? 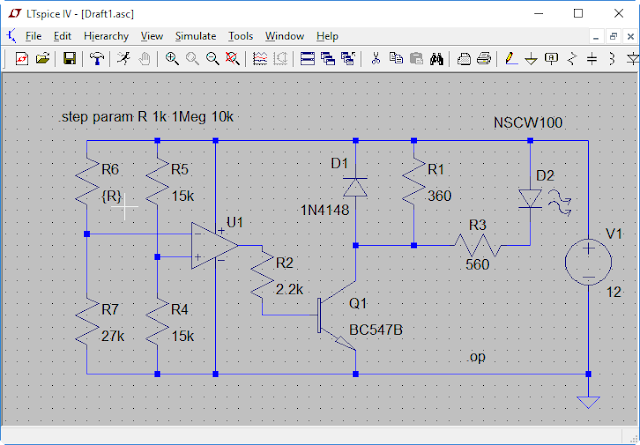 If not what simulation software do you use to test your circuits?